I feel like I'm about to take an unpopular position, but here goes: I think Phone Booth has more than a little of the Alfred Hitchcock touch. Not only does the "controlled space" in which the film was shot echo Hitch (see Rope, Lifeboat, Dial M, the phone booth scene from The Birds), but also the theme of sin & redemption. 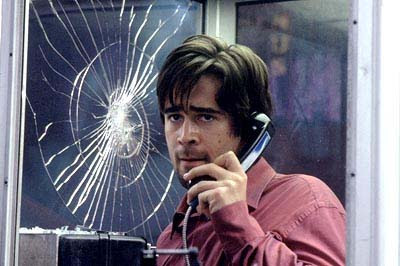 Stu (Colin farrell) is a slimeball, yet he elicits my pity. I identify very much with him. I myself have been dishonest, flirted with women other than my girlfriends, etc., all the time trying maintain a good guy image. I think we all do things like this to an extent. While watching the movie, then, I kept getting this nagging feeling: that could be me in that plexiglass coffin. That close identification with the nominal bad guy is a feeling I get watching Hitch movies and few others. 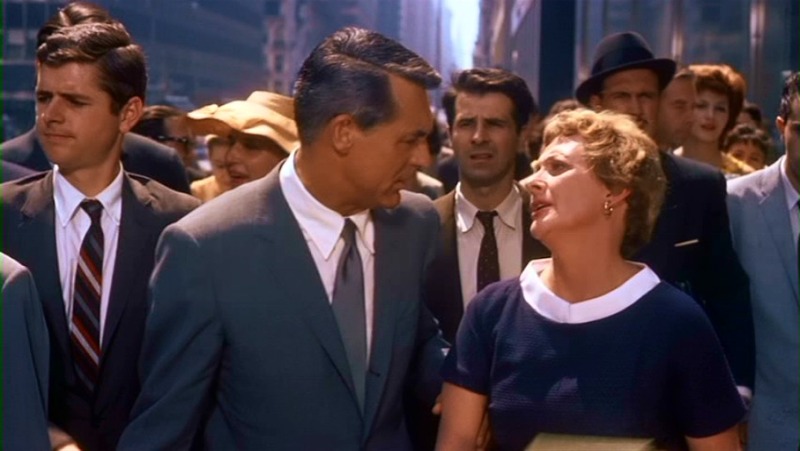 "I first broached the idea with Alfred Hitchcock in his bungalow at Universal. I was having lunch with him one day, which always was a three-hour event. He always spent most of the time telling me stories of movies he hadn't made yet. And then sometimes you'd tell him an idea. I said, 'What about doing a movie in a phone booth since you did one in a lifeboat and one in an apartment looking out the window. It sounds like something you might like.' And he said he thought it was a marvelous idea, but neither of us could figure out how to do it. I saw him again at the premiere of Frenzy. There was a party afterward at the Century Plaza and I saw him over there and he said 'What about our movie in the phone booth?' I said, 'I'm still working on it, Hitch. Still trying to figure it out.'" It took him another thirty years, but finally it occurred to Cohen that Stu could be held captive by a hidden sniper, to be played by Kiefer Sutherland. After that, the script practically wrote itself. In 2001, he handed it off to director Joel Schumacher, who evidently also saw its Hitchcockian potential. Taking place in real time ala Rope, the suspense remains tight and controlled right down to the final resolution. Both play Madison Avenue advertising/PR executives. 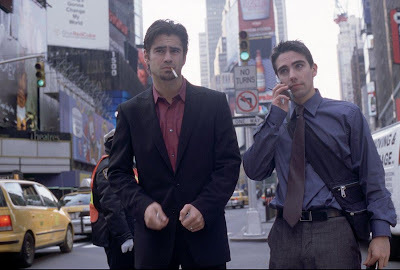 In the opening scenes, both Roger and Stu walk through midtown Manhattan, instructing their assistants to follow through on their deviousness plans. Both risk their lives in order to save the ones they love; ultimately this saves their own souls. 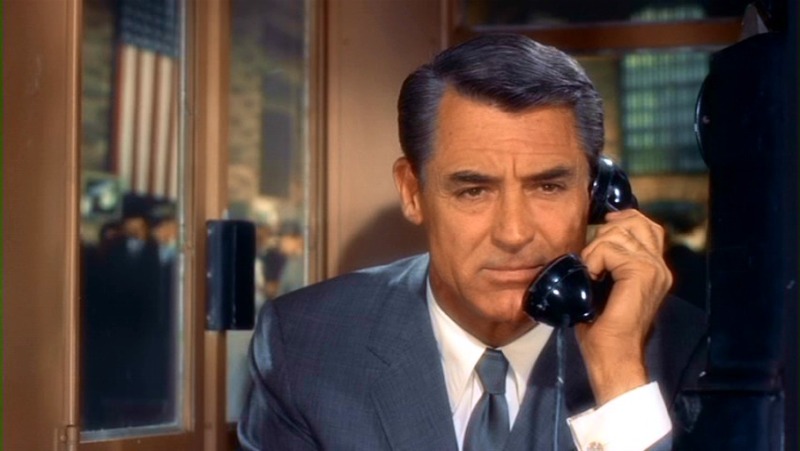 Another interesting aspect of Phone Booth was the sniper's conceit that he was playing God. He, like so many Hitch baddies, had donned the Nietzschean mantle of being among the elite few to decide who lives and dies (again, see Rope), putting Stu through an excruciating ordeal. As far as the set-up goes -- the anachronistic presence of a phone booth in 21st century Manhattan, etc. -- I would add that that, too, is a Hitchcockian detail. When literalists pressed him to tone down "the implausibles" in his stories, the late director would drawl, "It's only a mooovie." I'll have to check out "Phone Booth." I've always kind of liked Colin Ferrel anyway.